For more than 30 years our shop named „Papierladen“ has been located in the heart of Munich, near University and the famous art museums (Pinakothek). 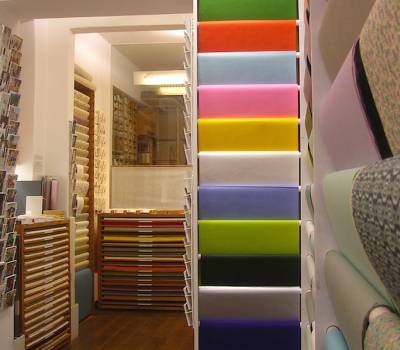 The shop is known as „the one with the beautiful papers“. 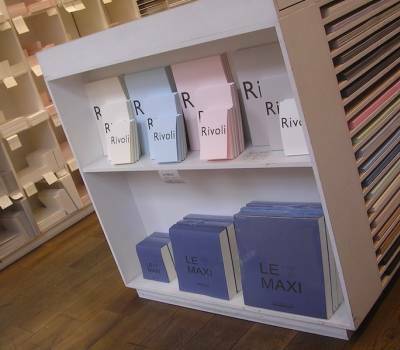 We sell fine paper in many sizes and weights, colours and patterns, in small and large amounts, besides this all kinds of paper products, selected stationery, bookbinding supplies, post cards, ribbons and the like. 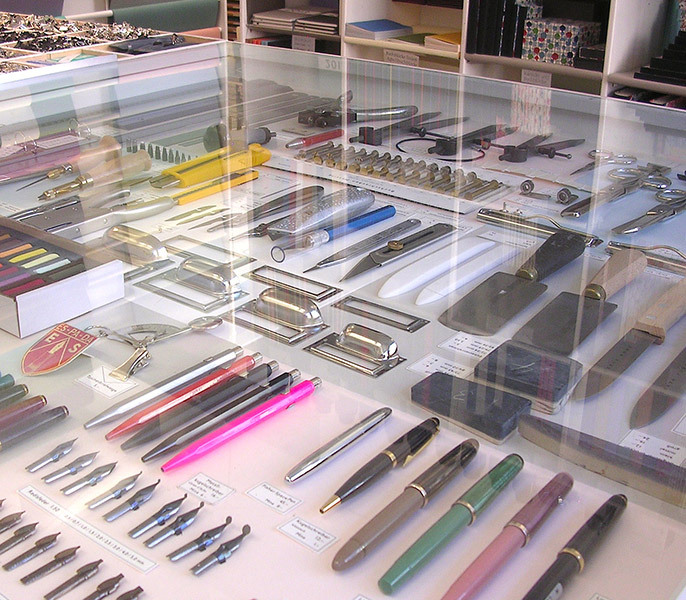 Not only in Munich is the shop famous, customers from all over the world come to buy for their private purpose. 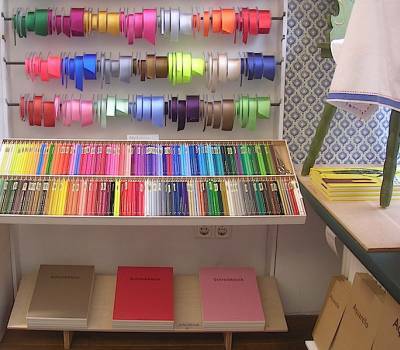 The Papierladen is more than simply a location for selling goods. We give advice and discuss, we evaluate and determine, we calculate and cut. 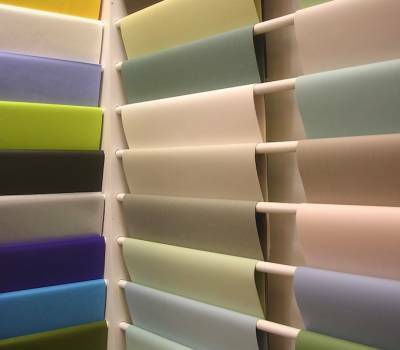 Together with our customers we experience the joy of touching surfaces, the fun when combining colours and the passion for recognizing small but decisive differences. 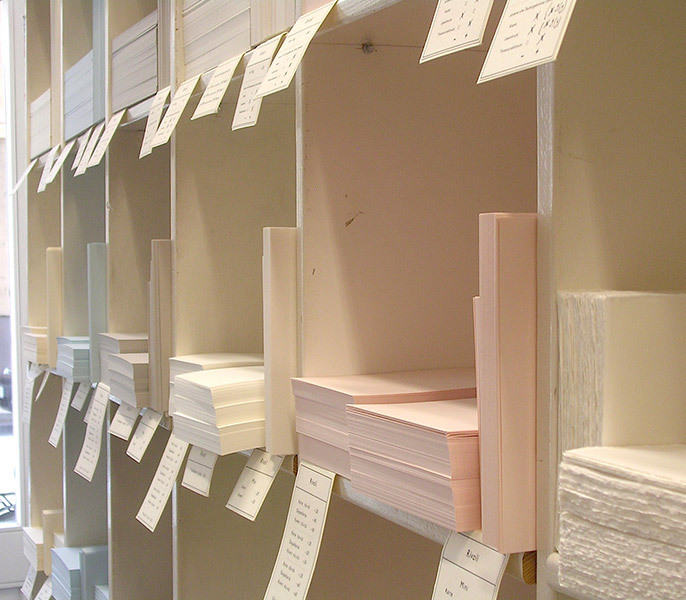 In short: We cultivate the passion for paper. 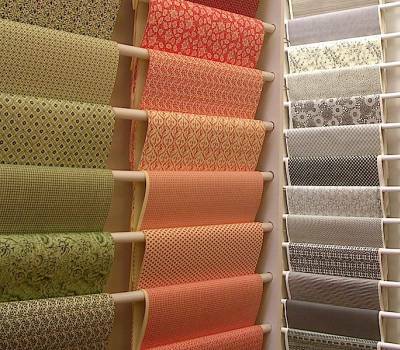 Although we wholesale our products worldwide under the name of CARTA PURA, a visit in the Munich store is something special and worthwhile. 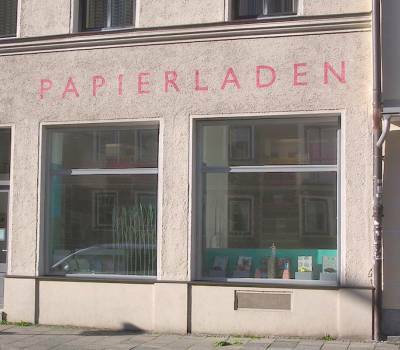 The Papierladen has no lunch break and is never closed, except on Sundays and public holidays. In December there are extended opening hours. 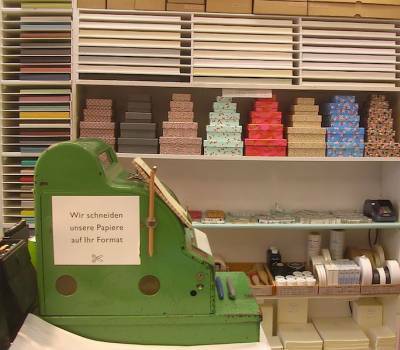 Besides the beautiful paper there is a big green eye-catcher in the shop: the till. It is part of the location since the very beginning in 1985, it only counts up to 99 and has been wound more than a million times. Of course, this cash box cannot identify EAN codes, nevertheless we accept modern means of payment: maestro cards with PIN code are welcome, Master and Visa cards are also possible. 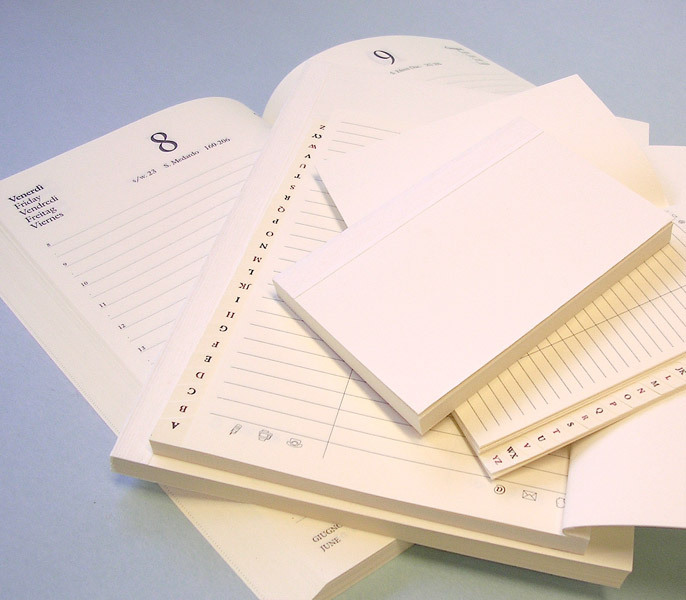 „We cut our paper to your format“ - with this slogan we promote our capacity to cut papers according to customer's requests: often immediately, sometimes until the next day, but always short-term. 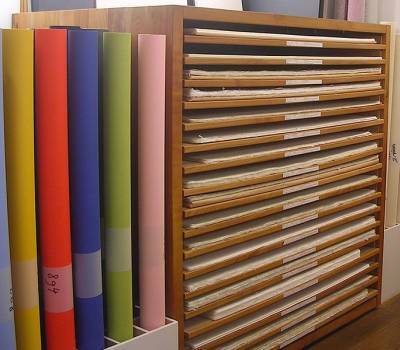 We cut our papers and boards after prior advice respecting the correct direction of grain. It does not always have to be a DIN-format. 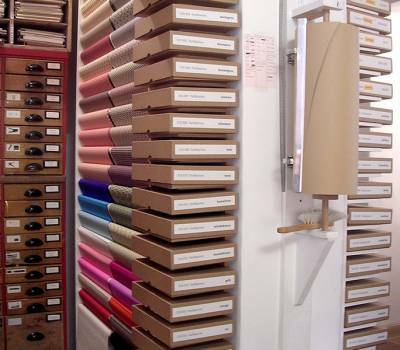 The first step for big custom made productions is often made in the shop. 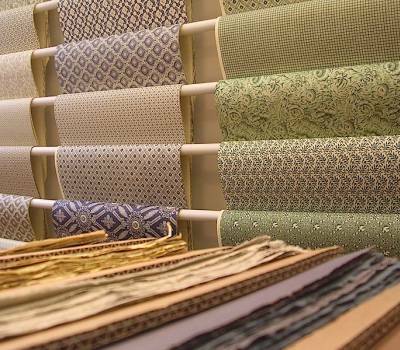 Inspired by the abundance of material many special assemblies for business clients have been initiated here. The only thing we cannot offer is a single item production. 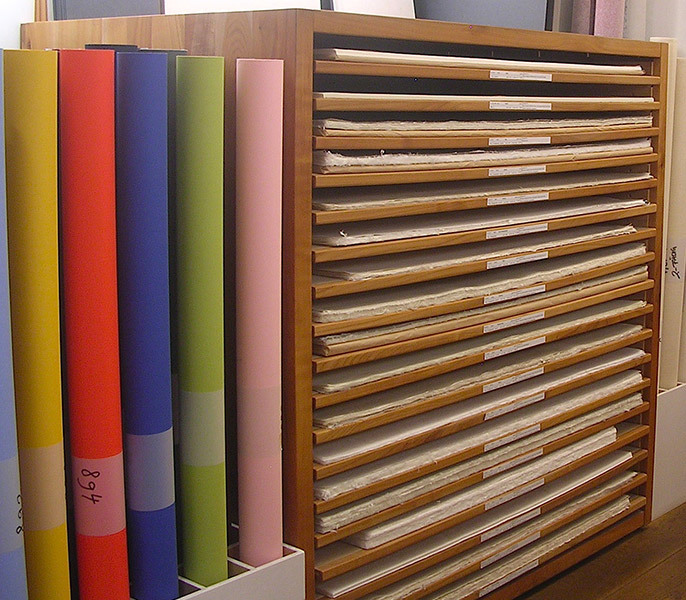 This is a bookbinder's job. In this case we recommend several studios in Munich. 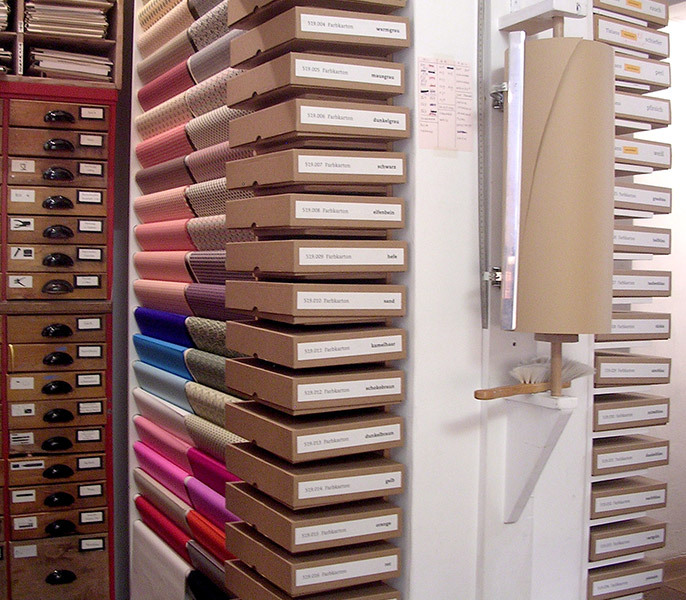 Bookbinders themselves often buy in the shop. 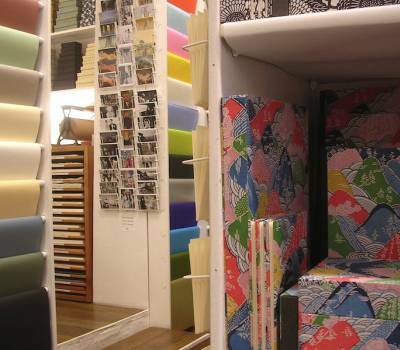 Just a single sheet of paper in a certain shade, a roll of book cloth or a complete carton of book interiors, all this is possible. With larger amounts and many items we prefer phone or email orders prior to pick-up. As there is no parking lot for our company, most of our customers come by public transport or by bike. Several clients send a messenger to pick up ordered goods. But sometimes one is lucky with street parking: Due to the parking bill system a few free spaces may be left in the crowded Schellingstrasse. No matter how and when and why you come, you are always welcome!